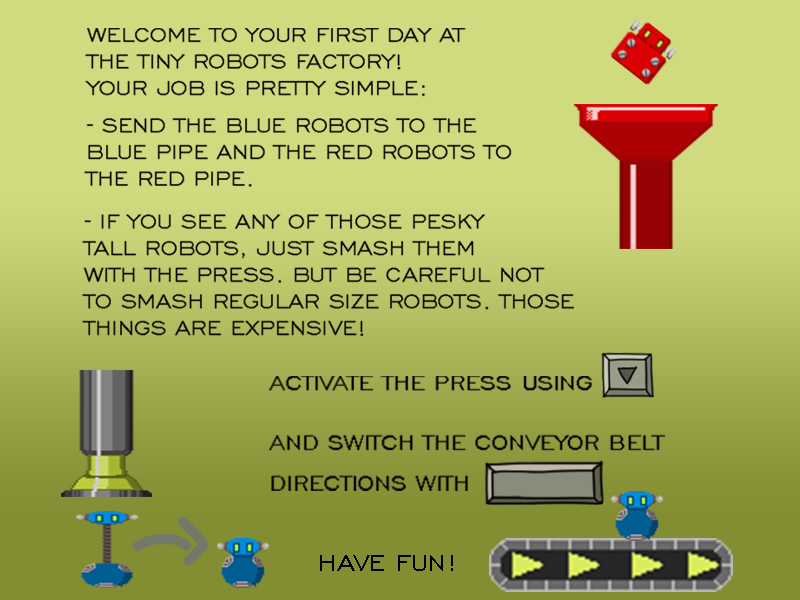 Use SpaceBar to switch the direction of the conveyor belts and down arrow to activate the Hydraulic press. Get those robots to their respective pipes, but beware of the tall robots. Smash them in the head so they get back to regular size. Remember: 3 Strikes and you're out. Simple, clean and fun, seems to match the theme very well. Nice work. Very nice base mechanic, with some powerups could make a cool mobile title. Once I got the hang of it, it was pretty nice. 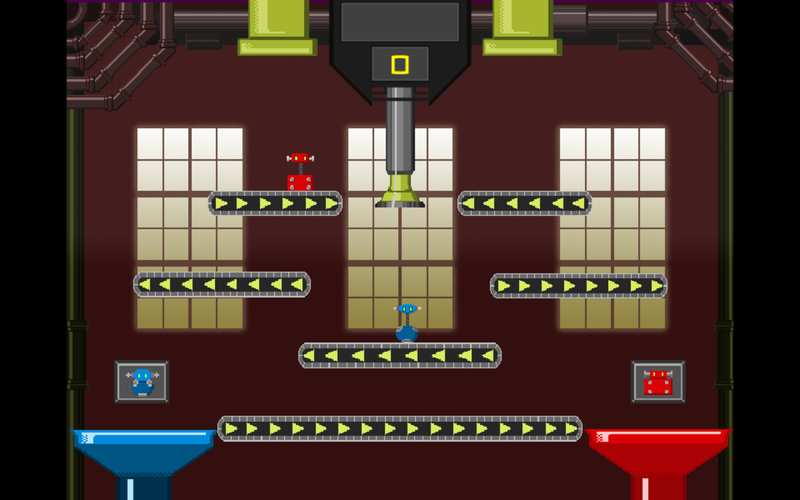 It would be cool if it had mouse controls and you could switch individual conveyors so you could throw a lot more bots at us, but then it would be a completely different game. I can't help but feel like sometimes the game throws impossible situations at you every now and then, but oh well. It's probably just me being bad, haha. Also, that hydraulic press animation is just crisp enough to feel snappy but just slow enough to feel weighty. Super satisfying when combined with the sounds. Cool little game, graphics and music were good. Would be a fun game for mobile. What a fun, simple and well explained game. Good work! Very slick and creative; I really enjoyed it. A bit easy but that's to be expected from a one-level jam game. Rockin' tunes in the background are a big plus. Overall, great job!